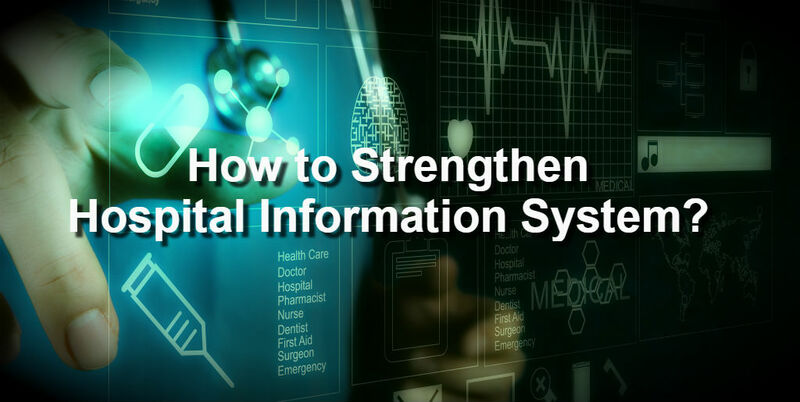 Home » Blog » How to Strengthen Hospital Information System? A month ago two hospitals in Indonesia were hit by ransomware attacks that made their services stopped. Cyber attacks impact on the hospital business and especially on the treated patients is very worrying. This is the main reason for strengthening the information system in the Hospital so that operations can continue to run despite disturbances. The next question is, how to strengthen Hospital information system ?. Healthcare industry has been the target of cyber criminals. On the other hand, this industry is needed by society. In the event of downtime, whatever it caused, it will certainly involve cost consequences, decreased trust, until lawsuits. Therefore, management of information systems in every hospital needs to be strengthened. This process can be done by analyzing IT requirements for operations across all divisions. Where technology continues to evolve, IT needs for operations can include pro-active things, such as multiple job automation, improved application access, IoT usage, current security threat issues and so on. Then, the company needs to map the current IT infrastructure so that it can be compared with IT requirements that have been formulated. This will help the entire IT team to renovate the IT infrastructure in your hospital. Based on the mapping of the IT infrastructure, it certainly can be more clearly seen from where cyber threats or things that can cause slow network and even paralysis out your system. Thus, the point of weakness can be discussed together to be anticipated. So IT teams can be more responsive when faced with incidents. Digital transformation has become a necessity. E-Health is a challenge to the health industry in winning the market. Ease, speed and comfort in dealing with hospitals is an important point to be noticed by the leaders in the Hospital. More and more hospitals are using “wearable-device” for patients in addition to using online prescription redemption. Once bright, IT leaders can determine the next IT strategy. Operational sustainability is a key objective of an IT strategy in addition to being able to grow a business. Changes will be more prevalent in today’s era of digital transformation. The use of technology needs to be placed in the first order to maintain the strength of hospital information systems. Thus, in the end the hospital information system is more reliable for day-to-day operations, as well as for further development. Elitery Managed Services is a reliable IT management service to strengthen your company’s IT infrastructure. Supported with updated technology and experienced experts in various fields, Elitery can guarantee the smooth operation of your company’s IT. Elitery as a pioneer of Tier III Data Center in ASEAN and also a pioneer of DevOps in Indonesia. With the DevOps method, companies can more easily manage and develop information technology without having to cause downtime. Elitery can assist you in assessing your current IT infrastructure, advising, building holistic reliable IT infrastructure. IT outsourcing with us no need to reduce your IT staff, they can have more ability to grow your business. Elitery can strengthen your Hospital information system to meet current and future needs. Please contact us via contact form below or call 021-750-2976.